Welsh slate is known throughout the world as being one of the most popular slates for roofing, for its quality and durability. Here at Roofing Superstore we are proud to offer Welsh slate of premium quality at our famously competitive prices, from reputable and high quality sources. Welsh slate comes from the quarries of Wales, particularly from the Penrhyn, Ffestiniog and Cwt-y-Bugail quarries, where it has been formed over hundreds of years. Low grade metamorphic conditions create pressure over time, which compresses mudstone and shale to form a fine grained, hard natural material that is durable and long lasting. 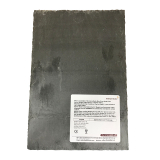 Welsh slate is commonly considered as the source of the finest roofing slates in the world, and Welsh slate tiles have numerous benefits for roofing and other applications. Firstly, the durability of welsh slate is almost incomparable – with resistance to UV, weathering and chemicals making only adding to the incredible longevity – Welsh slate tends to have a productive lifespan of 100 years. Even then, it isn’t always the slate that fails – more often it is the timber structures, and the Welsh slate tiles can be reused on another building. 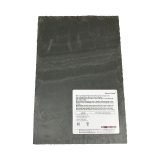 This reusability is another great benefit of Welsh slate – it can be used in sustainable or eco-friendly houses because it is completely natural, requires very little to no maintenance, and lasts for over 100 years. Although often mistakenly considered more costly than other roofing options, large format slates help to reduce labour time and costs to cover roofs, and the low number of breakages on site also help to keep costs down. Welsh slate creates a stunning and dramatic finish to your home, with a range of different colours available, and the colour is retained over the lifespan of the slate and does not fade with time. 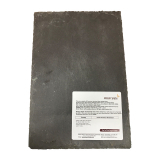 For more information on Welsh slates, and which slates are best for your latest roofing project, don’t hesitate to call our team on 01752 692760 or use the live chat and they will be more than happy to help.